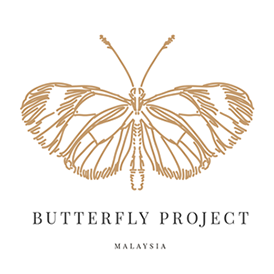 Big thanks to Guess Malaysia & The Butterfly Project Malaysia for the lovely invitation to party and their latest fashion show featuring the America's Next Top Model cycle 20 's top finalists. GUESS and America's Next Top Model in partnership with Star World, are joining forces hosted one of the biggest parties in Kuala Lumpur with the five finalists of America's Next Top Model having down the runway ringht here in KL! the party of all parties is set sizzle and dazzle the local America's Next Top Model fans. StarWorld's cycle 20 of America's Next Top Model (ANTM) hosted by Tyra Banks. ANTM cycle 20 was the first cycle with a different twist which features boys and girl living under one roof and battling it out to earn the prestigious title of "America's Next Top Model". This cycle explored the similities and differences that male and female models face in the persuit of their career, bringing on experts and celebrities to mentor and challenge them each week. Showing on Star World (channel 711) and Star world HD ( channel 722) every wednesday at 9.40pm in Malaysia. Below are some photo taken during the event! Lucky draw number. Some lucky guests walked away with lucky draw prices from GUESS! Joe Flizzow performed their latest his "Havoc" and "Baek" along with the superstar DJs Patricia K. and Blink. That night was cheering up by these two famous and fabulous emcee, Alan Wu *host of amazing race Asia and Deborah Henry. Super awesome to see ANTM cycle 20's finalists in person. Which one of the finalists is your favourite? Below is the runway with 15 local models in GUESS outfits showcased throughout ANTM cycle and from its Holiday 2013 Collections.